View More In Chef's Pans - Page 5. Eliminate the use of oils and butter while you fry your favorite meals in our ceramic coated aluminum frying pans. This healthy option cooking pan is finished with a shiny purple exterior and is sure to stand out among your cookware sets. Cook your favorite style of eggs, omelettes, meats, veggies, and much more. Frying skillet stands at 2 inches, deep enough to cook a sizeable portion. 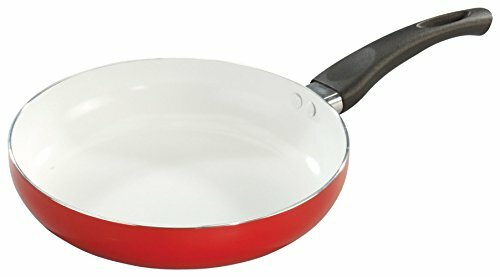 Handle is made from a heat resistant ABS mixture to keep the omelette pan safe to handle. If you have any questions about this product by Imperial Home, contact us by completing and submitting the form below. If you are looking for a specif part number, please include it with your message.